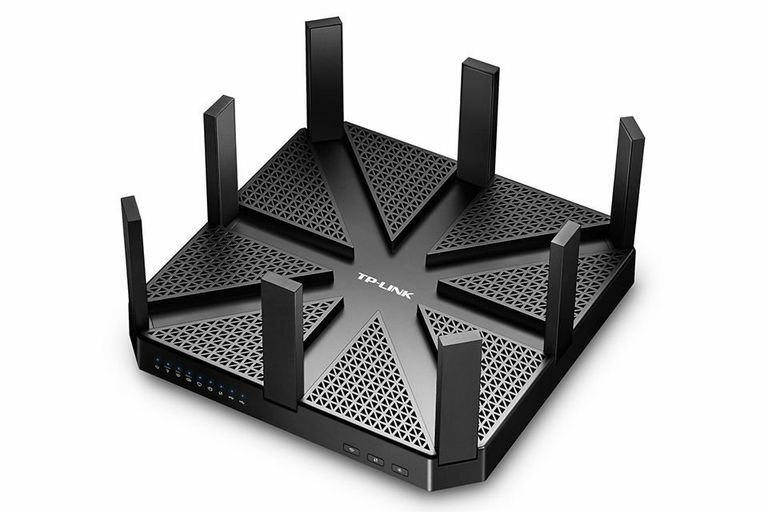 TP-Link Talon AD7200 Multi-Band Wi-Fi Router. The network router has been a fixture in many households worldwide for many years. Features of home broadband routers have gradually evolved and increased in performance although their base capabilities ­- local network connectivity and sharing of Internet access – remain the same. Routers also perform critical functions outside the home. The Internet relies on thousands of advanced routers to handle traffic flow to and from your service provider and across the World Wide Web. Higher-end routers continue to be deployed on corporate networks as well. All signs indicate that routers will continue to play an important role in homes, businesses and Internet networking for many years to come. Anyone who owns a router or goes online frequently should stay informed and keep aware of new developments. Router manufacturers and retailers tout the speed ratings of their products. Wireless broadband routers, in particular, have been engineered for increased Wi-Fi speeds with each generation. While 54 Mbps and then later 300 Mbps were each common standards at one time, modern home routers now offer above 1 ​Gbps and continue to increase their speeds. Eventually, these increases reach a point where they no longer add value to the user (or become too expensive); a similar phenomenon existed in desktop and laptop computers many years ago when CPU frequencies increased rapidly. Core routers that form the Internet backbone naturally need to perform at the highest speeds possible. Reliability is also critical, however. A router that performs at world-class speeds but crashes every hour cannot be deployed on the backbone or in any other environment. Home networks benefit from higher router reliability than performance in most cases: Households rarely can utilize all of the network bandwidth provided by a broadband router but tend to be greatly affected by even brief outages in their online service. Bottom line: Home and business networks both need a combination of both speed and reliability, and reliability doesn’t get the attention it deserves. Although some people think of a router what interfaces to the Internet, home networks rely on a separate device called a modem to actually make the connection. The distinction between the two is blurred as some consumer devices integrate both the router and the modem into a single unit called a residential gateway. Price comparison shopping for routers requires patience and attention to detail. Router A can cost twice as much as Router B, yet the differences between them may be absolutely critical to some people and immaterial to others. Speed rating: Routers that can claim higher data rates bring higher prices over routers with lower rates, all other factors being equal. A 600 Mbps router with 802.11n, for example, will have a larger selling price than the same model configured for 300 Mbps 802.11n. Industrial design: Home routers have traditionally featured plain, box-like designs, some with antennas poking out the top or side. Vendors have gradually started introducing different shapes, rounded corners, and more variety of colors and materials in an attempt to differentiate their products and get a higher price. Brand name: Many different brands of consumer routers exist. Better-known brand names may sometimes carry a higher price tag based on vendor reputation. Temporary price reductions: Like many other consumer electronics, sellers occasionally discount the prices of their routers. Purchasing a router during a major sale can have significant cost savings. Shopping for network equipment makes some people feel uncomfortable. Pressure from salespeople at retail stores and fear of making a wrong decision are among the reasons why some prefer to get their router through their Internet provider. Additionally, those in temporary living accommodations sometimes don’t need their own router long term and prefer to borrow or rent from someone else. Many larger providers give their customers an option to either buy a router from them directly or to supply a router as part of their subscription (for an additional fee). Providers should choose the routers they recommend based on specific criteria such as reliability and compatibility with popular consumer devices. It’s possible, however, that a provider may offer product simply because it is one they happened to acquire at low cost and are simply seeking profit margins. Watch for this and carefully research the models they have on offer. specifications for the types of modems that their customers are expected to supply on their own (such as DOCSIS modems for cable Internet). Some network routers support only wired Ethernet interfaces. Home broadband routers support Wi-Fi and are often are widely known as “wireless routers,” yet all home routers include integrated Ethernet switch support (for anywhere between 1 and 5 wired devices) as a standard feature. Phones may be carried to all corners of the home and onto the patio and backyard. Losing Wi-Fi connection at home eats into the household’s cellular data plan unnecessarily. Even worse, when a mobile device is connected to Wi-Fi at the edge of its effective range, very slow performance and occasional Internet connection failures result. Households may choose to add a second Internet subscription, either for a home business, or to supplement the primary connection. Instead of throwing away the older router after upgrading to a newer model, keeping both running together can help distribute network load around the house and provide a backup plan in case one or the other breaks. The technology industry envisions a future where each home contains hundreds of connected appliances and gadgets inside, everything from light bulbs to televisions and toys. To the extent Wi-Fi is a wireless communication standard for all of this gear, the demands on home broadband routers will continue to grow. Whether Wi-Fi or some combination of wireless tech, some think that routers have a future as the centerpiece of a smart home. external antennas - the stock antennas on Wi-Fi routers are sometimes lower cost, lower performance options compared to what is available from third parties. Not all wireless routers have replaceable antennas, but for those that do, upgrading the Wi-Fi antennas on a broadband router can be very helpful for extending a home network's reach and improving reliability. High-end routers used by businesses and Internet providers sometimes also incorporate other field replaceable units (FRUs) into their designs such as power supplies. Have You Considered Upgrading Your Home Network?